On Thursday Nov. 9, when President Trump and his team visited Beijing's Great Hall of the People, Chief of Staff John Kelly and a U.S. Secret Service agent skirmished with Chinese security officials over the nuclear football. A U.S. official hurried into the adjoining room and told Kelly what was happening. Kelly rushed over and told the U.S. officials to keep walking — "We're moving in," he said — and the Americans all started moving. Then there was a commotion. A Chinese security official grabbed Kelly, and Kelly shoved the man’s hand off of his body. Then a U.S. Secret Service agent grabbed the Chinese security official and tackled him to the ground. The whole scuffle was over in a flash, and the U.S. officials told about the incident were asked to keep quiet about it. 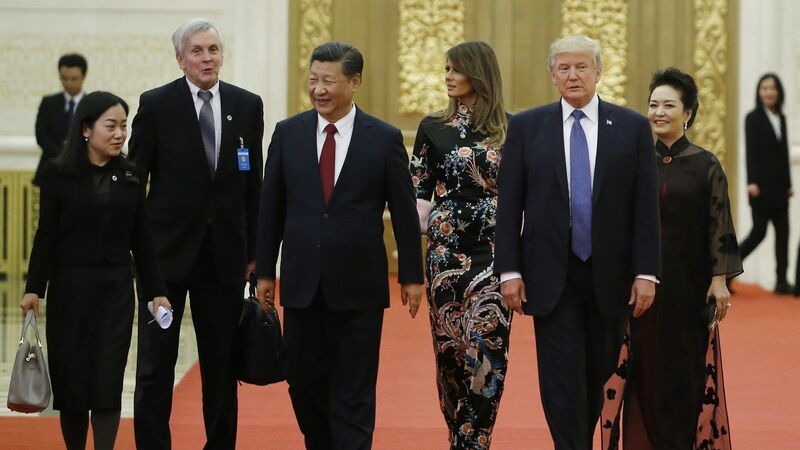 Trump's team followed the normal security procedure to brief the Chinese before their visit to Beijing, according to a person familiar with the trip — but somebody at the Chinese end either didn't get the memo or decided to mess with the Americans anyway. I'm told that at no point did the Chinese have the nuclear football in their possession or even touch the briefcase. I'm also told the head of the Chinese security detail apologized to the Americans afterwards for the misunderstanding. For more reporting like this, sign up here for Sneak Peek and our other Axios newsletters.